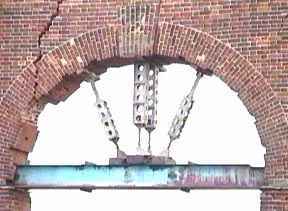 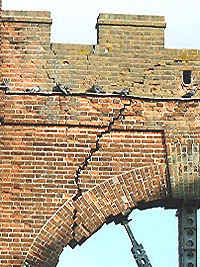 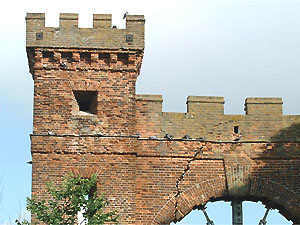 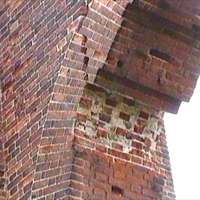 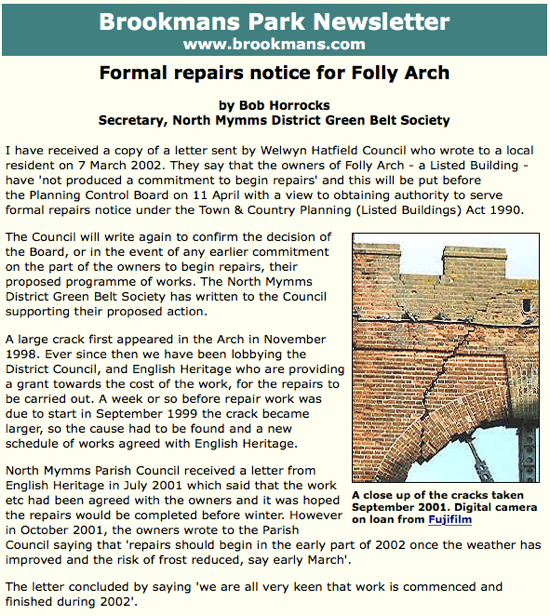 A large crack was first spotted in Little Heath's Folly Arch in November 1998. 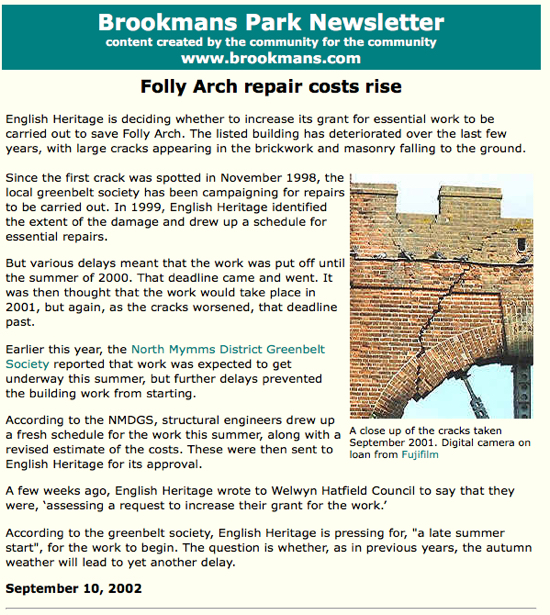 By the autumn of 1999, the state of the structure was so bad that the local greenbelt society alerted English Heritage to the situation, demanding action. 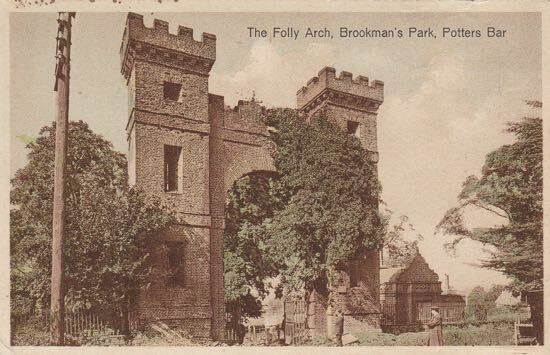 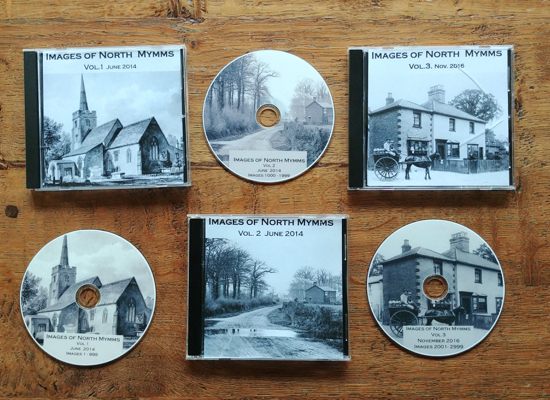 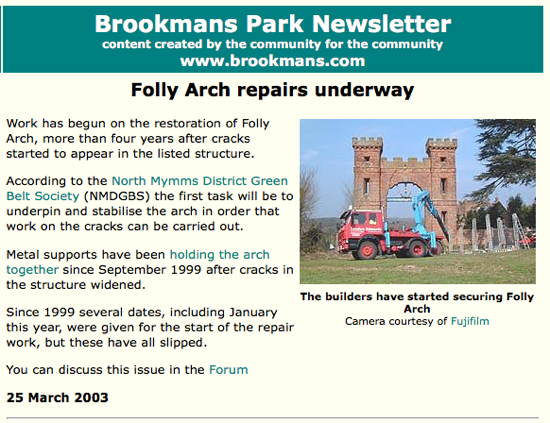 That event, and how the restoration of Folly Arch progressed, was recorded in the news section of the Brookmans Park Newsletter. 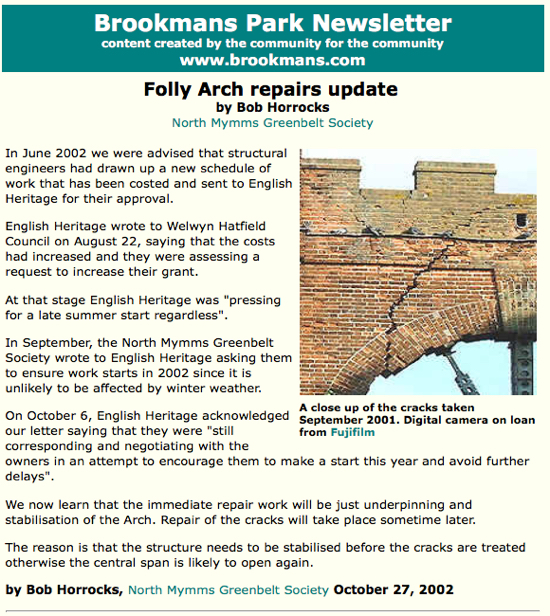 News updates continued until 2003 when repair work was finally carried out. 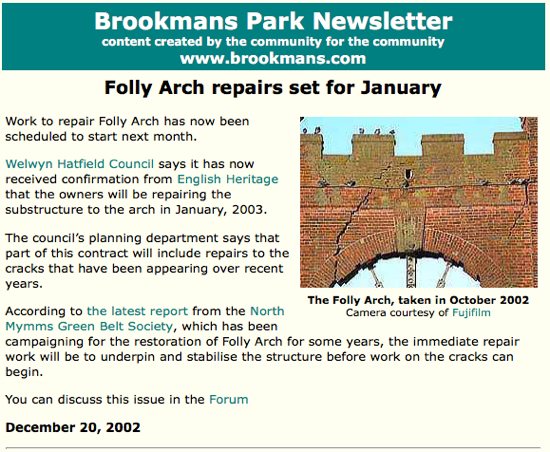 The following PDFs and screen grabs from the Brookmans Park Newsletter record events that developed following that intervention, and the work involved in the restoration of the listed building.